Ballad Health’s level I and level II trauma centers have around 500 beds each; the smaller hospitals have between 60 and 150 beds, with each facility housing ICU beds. The larger facilities have rapid response and code teams, while some of the smaller facilities provide opportunities for teaching residents. 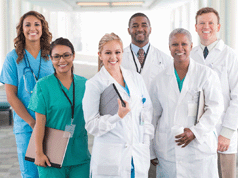 Employment model: Hospitalists are employed physicians with Ballad Health’s managed provider group. Services: Needs vary, but hospitalists can expect to carry out admissions through the ED, treat ICU patients in addition to traditional med/surg patients, and teach residents when the facility requires it. 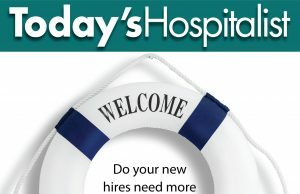 Schedule and coverage: Hospitalists at all facilities typically work seven-on/seven-off, 9-12 hour shifts, providing call coverage only in the smaller facilities. Compensation: Hospitalist salary is on par with the national average and competitive within the region; it is not dependent upon productivity or quality incentives. Practice highlights: Providers are included in the management structure, and physician leaders are encouraged to step forward and advise administration frequently. An excellence in medicine and leadership are desired in the physicians we place there. Local highlights: Located in the Southern Appalachian Mountains, the area provides an abundance of outdoor activities as well as shopping, dining and the arts. Located at the midpoint between Asheville, N.C. and Knoxville, Tenn., the area is an easy hub for travel.